Kazakhstan's president on Tuesday ordered an early presidential election for June 9 following the unexpected resignation of Nursultan Nazarbayev last month. 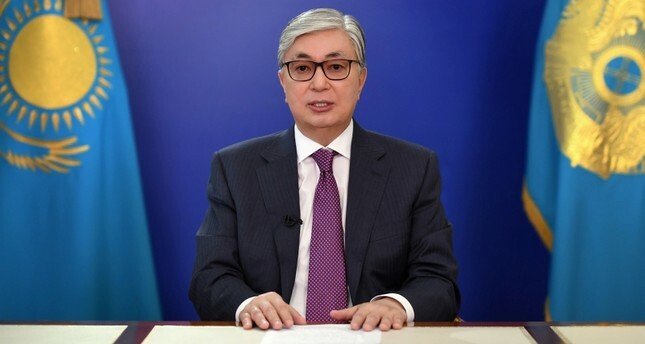 In a televised address to the nation, Tokayev said he had consulted with 78-year-old Nazarbayev -- known as "Elbasy" or "Leader of the Nation" in Kazakh -- and other top officials before making the decision. "This can be done only by the direct expression of the will of the people... As the acting head of state, I guarantee that the elections will be held honestly, openly and fairly." Other reasons are to reassure neighbouring countries and stabilise the state apparatus, he said. Tokayev, formerly the speaker of the upper house of parliament, hasn't yet announced his intention to seek the presidency. Pundits saw him and Nazarbayev's eldest daughter as the two most likely candidates to succeed Nazarbayev, who retained significant powers following his resignation as lifetime chairman of the nation's Security Council and the head of the ruling Nur Otan party. Dariga Nazarbayeva, 55, who has been named parliament speaker after Tokayev became acting president, has remained coy about her plans.